Nothing says summer like creating your own hair lightening concoction! I spent many a middle school summers, trying to make my own lemon spray before I was allowed to use “Sun-in” like a real high school-er. 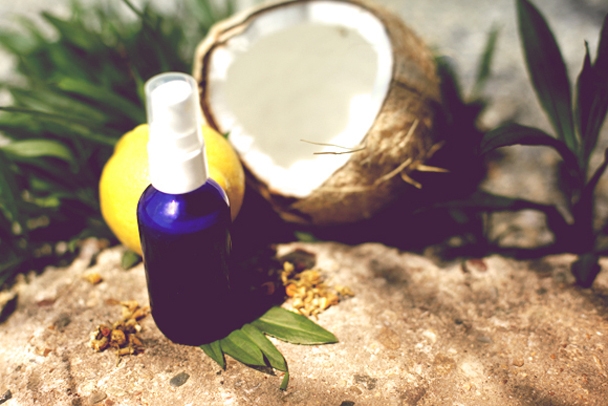 So when I came upon this recipe The Ultimate All-Natural Hair Lightening Spray written by Jana ,of Free People it made my kick off to summer dreams come true…enjoy! Lemons: When lemon juice is added to the hair, it acts as an accelerant to the sun’s ability to naturally lighten. 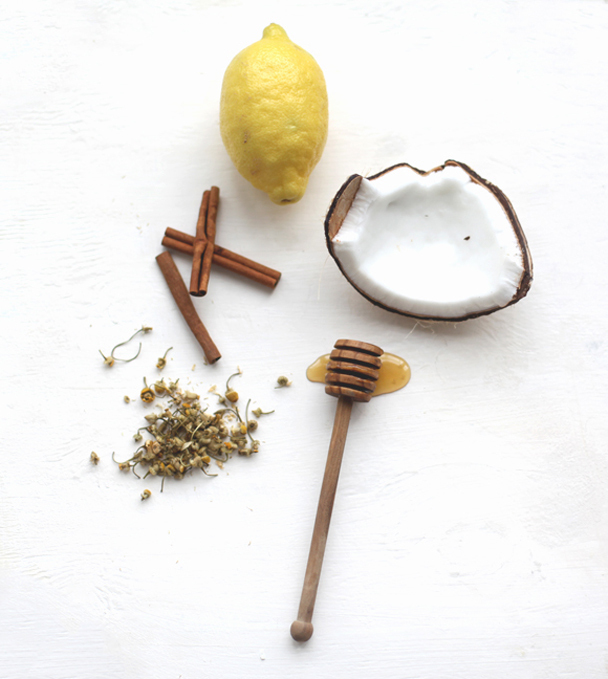 The acidic properties of lemons mix just right with sunlight, giving off a gradual highlight. Chamomile: The natural coloring and chemicals of chamomile flowers work together to bring out lighter tones in the hair. Chamomile also helps in fixing split ends. Honey: When honey is mixed with distilled water, it undergoes a chemical process that will allow you to quickly lighten your hair. Cinnamon: Cinnamon naturally contains peroxide, which is a chemical used in hair lightening, but the cinnamon won’t dry out your hair…and it smells amazing! Coconut Oil: Coconut oil won’t lighten your hair, but it will help to keep your locks moisturized so the other ingredients don’t dry it out. 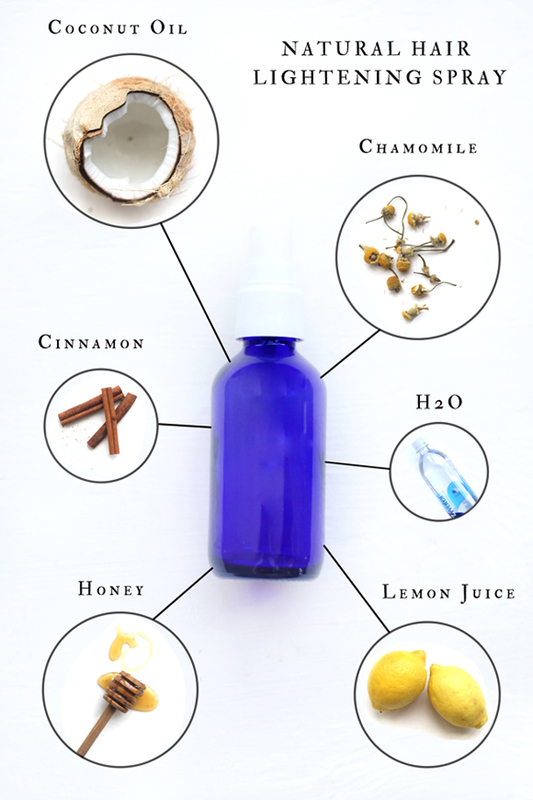 Once all of the other ingredients have been added, fill up the rest of the bottle with warm water. Give a good shake to the bottle before spraying it on your hair to make sure everything is mixed up. You can spray it all over your hair, or apply to the ends for an ombre’d look. My favorite time to use this spray is when I’m at the beach. After dampening my hair with salt water, I’ll spray some on all over. The sun will maximize all of the ingredients’ lightening powers. You can also spray this on damp hair before bed. Just be sure to wear a shower cap since they honey in the spray will make your hair a bit sticky, then rinse it out in the morning! Check out the Free People Blog! That’s a great question! I would say not longer than the weekend and keep it in the fridge.